Instructor User Guide SyllabusHow do I add my syllabus as a file attachment? 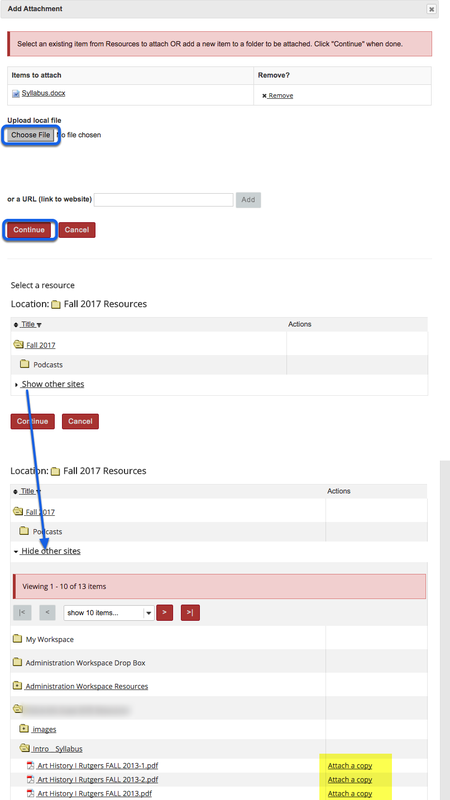 An "Add Item" window opens where you type the name of the item - "Syllabus Fall 2017" for example. Type the Title of the item and click Add. 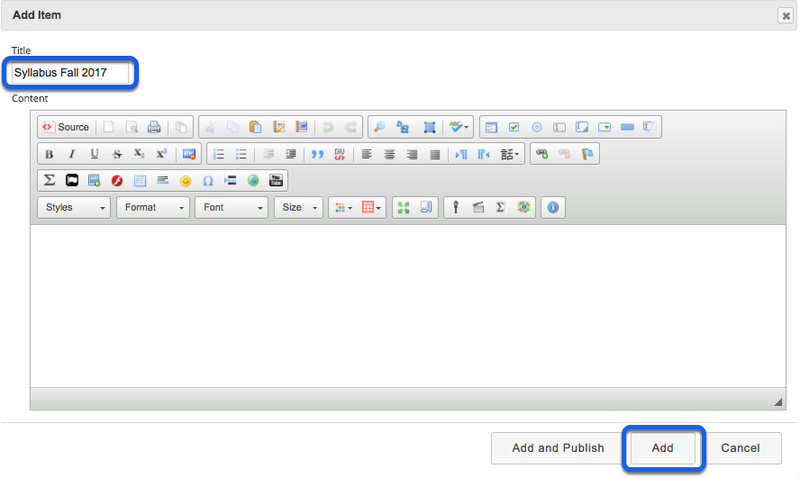 Zoom: Type the Title of the item and click Add.